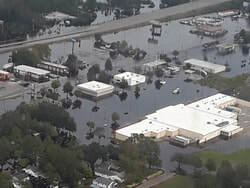 Imagine you have watched the pilots of three large 400-horsepower Helio-Couriers give up after multiple attempts to drop-off their supplies for stranded Hurricane victims on a 768-foot makeshift runway (drag-strip) surrounded by high fences, billboards, lamp-posts and flood-waters… Now imagine you own a smaller kit-built STOL aircraft with less than half the power which, while not able to haul as much as a Helio, can safely land and take-off from about half the available distance... What do you do? This is the situation pilot Sam McNair recently faced after the devastating effects of Hurricane Florence. Not one to stand on the sidelines when his fellow man is in need, Sam stepped right-in and offered his assistance. In the course of the next six days, he and his plane would deliver a whopping 4.5 tons of emergency aid and supplies. They did it 700 pounds at a time and it took them 15 flights, but the high winds, rain and flood-waters could not stop them! Every mission that Sam flew in his trusty “little plane that could” was a success! 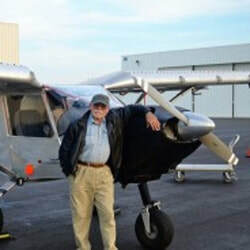 In his words: “My custom-built Zenair STOL CH 801 is powered by a Superior XP-360 (carbureted, with roller cam and 8.5:1 pistons) which generates 188 HP on the dyno. The ADSB and Foreflight synthetic vision instruments I have were also real life savers: Twice the ADSB alerted me to take evasive action to avoid potential collisions that the controllers had not seen coming – and that I may not have seen in time either due to the murky, hazy weather (in the controller's defense they were handling 3 times the previous record number of operations for nearby KRDU due to the exceptional circumstances). Also, the “synthetic vision” was great for helping me keep an eye on those towers of up to 2,350' when I was slipping in and out under the 2000' ceilings. Did you know that the actual location of a tower on a printed map is allowed to be as much as 1/2 NM off? “The improvised runway was only the width of a 2 lane road and had guard rails along its entire length. There wasn’t much room between my wing tips and the high chain-link fence on one side, and the flood light poles on the other. The pavement was so narrow that after I had stopped, I needed to get out and pull the tail down to turn the plane around manually in order to taxi back! Still, he aircraft worked flawlessly throughout! Unlike most other high-wing designs, the STOL CH 801's wings are positioned above the cabin and fuselage to provide pilot and passengers with superior visibility. 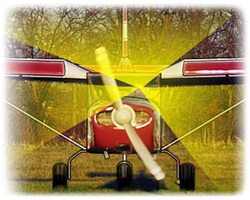 The "Above-Cab" wings taper at the wing root to maximize upward visibility while also providing superior side visibility, as the wings are located above the pilot's head. As all seasoned bush pilots will confirm, off-airport operations require an aircraft with superior visibility - for safer operations in tight areas and to allow the pilot to choose suitable landing areas. The large "wrap-around" windows and "Above-Cab" wings allow unparalleled visibility. 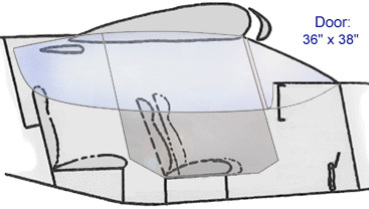 The standard tricycle gear configuration maximizes forward visibility when taxiing (critical when operating in off-airport environements), while also providing the added benefit of a level cabin while on the ground - This facilitate access to the cabin and maximizes pilot and passenger comfort. The stock instrument panel measures nearly 41 inches (104 cm.) across and 11 inches (28 cm.) high, providing plenty of room for custom avionics and IFR instrumentation. CUstom sub-panels and/or center console are also possibilities. Click HERE for more panel information. The above panel is from the prototype STOL CH 801 demonstrator. Design Article: "Anatomy of a STOL Aircraft: Designing a Modern Short Take-Off and Landing Aircraft"